Interest in the occult and the paranormal has moved from faddish to normal in our society. The movie and television industry, with the help of computer-generated special effects has capitalized on our curiosity. And the internet, video game, and book publishing are keeping us saturated with demonic topics. I could name shows, movies and books you’ve all heard about. But there is a negative consequence for Christians in all of this–this fad has also resulted in believers being ignorant of God’s Word. Because of so much occultic bombardment in secular circles, and because healthy Christians avoid all involvement in the occult, believers have resisted learning about angels and demons to the point that many Christians have a distorted or incorrect view of this theology. In fact the Bible speaks more about angels and demons than true Bible-believing Christians do, or Bible-believing churches teach. So I am thankful we have come to a chapter in the Bible which will help us understand the truth about angels and demons. Turn in your Bibles to Daniel 10, and follow along with your outline. As a church committed to going through the Bible verse-by-verse, without skipping anything difficult, today we have arrived at an area of interest for people that most Christians do not understand. There is an invisible spiritual world that is in constant conflict, because it is made up of holy beings called angels who serve only God, and unholy beings called demons (fallen angels) who serve only Satan. And this conflict also affects the physical world we see around us to the point that those without Christ are pawns used by the enemy for his evil purposes, and those in Christ must together depend on the Lord in order to be able to stand firm in this battle. We have nothing to fear if we take our stand upon God’s Word and depend upon His strength together in the battle. Not too many months ago we spent ten weeks working through Ephesians 6:10 to 20 on spiritual warfare, and I invite all of you to revisit those sermons on the website to understand our role in the battle. But today in a rare look into this spiritual world, we actually see what this unseen battle between angels and demons that is going on all the time until Christ returns is really like. But before we unfold Daniel’s fourth vision starting in chapter 10, let’s make certain we’re all thinking Biblically about angels and demons. Angels are spirit-beings created directly by God. They are more powerful than men, often awesome in beauty, and sometimes very fast, as some have wings suggesting fast travel. Angels were created to minister to God and do His bidding. Angels both watch and participate in God’s mighty works, and like us are honored to participate in God’s will. Angels had a special role in ministering to Christ after His temptation in the wilderness and during his agonizing prayer in the garden before he went to the cross. The New Testament tells us that angels also watch over the Church, assist God in answering prayer, occasionally deliver believers from danger, give encouragement and protect children. They also serve the Lord by announcing and inflicting judgment upon the unsaved. There are rankings of and differences among angels–some are called cherubim, seraphim and some described as living creatures. If organized like demons, there are angels over thrones, dominions, principalities, powers and authorities. We know three angels by name: Michael seems to be the chief angel, head of the armies of heaven, possibly the angel over Israel; Gabriel is called the mighty one who makes a lot of announcements; Lucifer was the highest of all angels before he chose to rebel against God and is now known by many names, Satan being the most familiar. But before we make angels divine, never forget that angels are created beings, a part of God’s creation, designed and made by God Himself and not anywhere near as powerful as God. God versus Satan is not a contest, it is an allowance. Only one is the Creator and the rest of us, men and angels are creatures. And angels are different than people–angels are not made in the image of God like people are. Angels can’t procreate like people can, and angels can’t be redeemed once they have sinned like people can. It is unclear exactly when angels were created. Genesis 1 and 2 seem to indicate angels were created when God created the world. Genesis 1:31 and 2:1 say, “And God saw all that He had made, and behold, it was very good. And there was evening and there was morning, the sixth day. 2:1 Thus the heavens and the earth were completed, and [WHAT?] all their hosts.” The text seems to indicate that after the creation of the world, after mankind was created that everything in the heavens and the earth were completed and all their hosts–and it as all very good. And think about what must have been going on in their hearts. Here they were the most powerful and beautiful of God’s creation—angels. Yet God made man in His own image. God chooses man to represent him on planet earth. Plus God puts a plan in place to make mankind co-heirs with His own Son Jesus Christ. God chooses man to be the crown of His creation and not angels. I wonder, don’t you, if along with his lust for glory, was jealousy eating away at Satan? 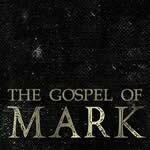 Did He struggle seeing God put so much affection toward mankind that it fueled the fire of pride? Could that be why Satan immediately went to tempt mankind into sin as well? I wonder . . . The fact that humankind can die makes us savable. The wages of sin is death and if someone perfect could die for us, then the price for sin could be paid. Jesus Christ, the God/man died for the sins of his human children. But angels cannot die, which means those who rebelled with Satan are eternally condemned with no hope of salvation ever. This is probably why holy angels look at mankind in wonder, and why fallen angels hate all people, especially the redeemed more than anyone else. The Bible tells us angels exist in the heavens, atmosphere heaven, outer space heaven and God’s special presence heaven. And all angels either serve God’s purposes or fight against God and His will. So this answers the question if there are aliens waiting to invade earth? The Cylons, the Borg, predators who hunt humans or acid for blood monsters—no. But there are powerful beings that inhabit parts of our universe–they are called angels or fallen angels called demons, and they are at war, a war we are a part of according to Daniel 10. Look there and follow along in your outline. Daniel 10:1a, “In the third year of Cyrus king of Persia”–Put yourself back in 334 BC and you are one of the trainees of 85-year-old Daniel, Jewish prophet in exile from his home in Israel, who has just retired as the third ruler in the Medo-Persian empire behind Darius and Cyrus. Your goal is to be as faithful as Daniel, but things are not going well for Daniel and his people. In chapter 9, Daniel was reading Jeremiah who prophesied the captivity of Israel would only last seventy years. This motivated Daniel to pray, and through his prayers and God’s sovereign will the captivity ended. 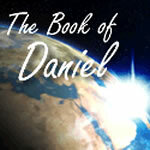 Daniel hears a message that predicts a great conflict, involving the Jews and the nation of Israel. The visions of chapter 7, 8 and 9 all foretold coming conflicts, but this vision, the fourth and final one in the book of Daniel, which takes up chapters 10 to 12, describes a massive conflict in even more bloody detail. So there is a lot of stress on Daniel, even though the end of verse 1 tells us he understood the message and had an understanding of the vision. Daniel understood the vision, but look at what it did to him in verses 2 to 3, “In those days I, Daniel, had been mourning for three entire weeks. 3 I did not eat any tasty food, nor did meat or wine enter my mouth, nor did I use any ointment at all, until the entire three weeks were completed.” The vision shook Daniel up–he mourned, fasted from tasty foods and neglected personal hygiene in order to petition God in prayer. There are some here who go weeks without showering. Some of you guys are not fooling anyone as to why you have short hair–it’s so you can get up and be ready to go in one minute. Me, just one day without shaving and showering and I look like Nick Nolte after he was arrested for drunk driving–crazy. Daniel is an old man, but he takes three weeks to pray, three entire weeks. No tasty food, no delicacies, no sunscreen, no hair oil–just praying. And there is a strong possibility all this praying took place during the feast of the Passover and the feast of Unleavened Bread. So while everyone is celebrating, Daniel is wrestling in prayer. What happens next? The descriptions of Revelation 1 and Daniel 10 are identical except for their hair. It’s awesome: John saw Christ in His post-resurrection glory, and Daniel saw Christ in His pre-incarnate glory. God revealed himself to Daniel. This next scene is both funny and sad at the same time, for even though Daniel’s companions do not see this divine being, verse 7 says nevertheless a great dread fell on them and they ran away to hide themselves. This is not hide-and-seek. These are grown men who are hiding themselves from an overwhelming dread. The Hebrew word for dread is trembling–these men are shaking in fear, and the word ran away is literally as if they’re being attacked and chased. Daniel fairs only a little better–verses 8 and 9, as he was left alone he grows pail, loses his strength, and as soon as he hears the words of this mighty being, Daniel faints. God’s Words are powerful and God’s presence is awesome. But now the focus changes. Now an angel in the form of a man comes to help Daniel in verse 10, “Then behold, a hand touched me and set me trembling on my hands and knees.” Daniel was awakened when the angel touched him, but he did not stand up. He rose to his hands and knees, still afraid of these beings he was seeing. So the angel reassured Daniel in verse 11, “And he said to me, ‘O Daniel, man of high esteem [meaning O Daniel greatly beloved].’” God doesn’t make personal appearances to everyone. But Daniel was greatly beloved. David was a man after God’s own heart. Abraham was called the friend of God. John was the disciple whom Jesus loved. Mary was highly favored. Daniel was greatly beloved. Those who pursue Christ as their first love are uniquely blessed by God. The angel told Daniel he’s beloved to relieve His fear; so the rest of verse 10 says, “Understand the words that I am about to tell you and stand upright, for I have now been sent to you.” Still trembling Daniel obeys, stands up, and as he does we learn some amazing truths about prayer and about the hidden spiritual world we know only by faith, but not by sight. What does God say to us? The messenger angel says in verse 12, “Then he said to me, ‘Do not be afraid, Daniel, for from the first day that you set your heart on understanding this and on humbling yourself before your God, your words were heard, and I have come in response to your words.’” The angel came with an answer the moment Daniel began praying. Like Daniel, we have immediate access to God through prayer. Religion tells you to close your eyes really tight, say “In Jesus name”, confess all your sins, say “Hail, Mary”–what does throwing a long bomb on the football field have to do with prayer anyway?–make deals with God, use big words and a big prayer voice (“Most Magnanimous God”). Religion says do all that and maybe God will answer your prayer. Yet when Jesus died on the cross, not only did he say, “It is finished,” but He also tore the curtain that separated everyone from the Holy of Holies. Jesus gave us access into God’s presence. We’re not to be flippant, but we are free to come to our Father as our Abba, our Creator–not on the basis of what we have done for God, but on the basis of what Christ has done for us. We have immediate access to God though prayer because of Christ. Yet the next verse points out we will not always receive prompt replies to our petitions. Although the angel is dispatched right away to bring the answer to Daniel’s request, the angel was kept from fulfilling his mission for three weeks because of the opposition he received from a demon. Daniel 10:13, “But the prince of the kingdom of Persia was withstanding me for twenty-one days.” This is not a reference to a human ruler but to a fallen angel who’d been given authority by Satan to watch over the affairs of the Medo-Persian Empire. We know from 1 John 5:19 that the whole world lies in the power of the evil one. So it’s understandable that Satan seeks to acquire dominance by assigning demonic agents to various parts of the globe in an attempt to thwart God’s activity. And although satanic resistance does occasionally hinder the Lord’s work, it does not indicate that God’s power and sovereignty are any less absolute and ultimate. Gleason Archer explains it this way–while God can, of course, override the united resistance of all the forces of hell if He chooses to do so, he accords to demons certain limited powers of obstruction and rebellion somewhat like those he allows humans. In both cases, the exercise of will in opposition to the Lord of heaven is permitted by God when he sees fit. But as the book of Job indicates, the malignity of Satan is never allowed to go beyond the due limit set by God, who will not allow the believer to be tested beyond what he is able. All you conspiracy theorists are right, except it is a lot worse than you think. Satan has a sophisticated world organization, an unseen network of demons influencing the events of human history. Just as there was a demon assigned to Persia in verse 13, there was another assigned to Greece, verse 20. There is more going on nationally and internationally than we can see or ever know. Michael is mentioned three times in Daniel and two times in the New Testament. He is called the archangel in Jude 9, which means first angel, and here in verse 13 it’s clear that Michael had greater power than either the good angel or the wicked demon. This is shocking to me–it is eye opening. Think about it. You get up in the morning, drive to work, do your job, school the kids, drive them to sports, say hi to friends, go to school, talk to your friends, build a relationship with that guy or gal, go to class, hang out at lunch, read the national and international news on the internet, but the entire time there is a spiritual battle going on that you can’t see. Be dependently strong, be strengthened in the Lord, filled with His Spirit so you don’t give into the flesh, so you don’t give the devil an opportunity, but you take your stand upon the Word of God. Watch out for the devil’s methods and schemes–Satan does not want you depending upon what you have in Christ and relying upon the power of the Spirit to live everyday life. All the commands of Ephesians 6 are plural, meaning we need each other to win spiritual battles. And since this spiritual battle is going on 24/7, there is no ceasefire and no break. Therefore we must be alert. The battle is on and it won’t be easy. That is why . . .
Read verse 14, “Now I have come to give you an understanding of what will happen to your people in the latter days, for the vision pertains to the days yet future.” The angel gives Daniel a vision that would cover a lengthy time span, specifically going from the time of Daniel to the antichrist in the tribulation. Daniel needed to be strengthened–he had stood before the living God. 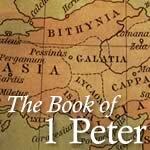 He may have been the godliest man alive, but he was devastated when he personally faced God. Do you think you will do any better? You can expect worse when you face God unless you are protected by dependent faith in the work of Christ dying for your sin on the cross and rising from the dead. So Daniel is spent. Even his interaction with angels is wearing him out. So Daniel has learned that the spiritual battle believers wage can sometimes take a physical toll. He says, “I have no strength in me.” I know that feeling. I love serving Christ, I love serving you, but there are times when I am spent. I know our elders sometimes feel that way, and I have seen it in some of you as well. Yet I also know that fatigue is a small price to pay for bringing God glory by serving Christ’s bride and sharing the Gospel to a needy world. The Hebrew words “take courage” mean be strengthened. Depend on the Lord for strength. Listen, spiritual warfare does not depend on our strength. Our strength in warfare is based upon our dependence. In the letter to the Hebrews, we learn that angels are (1:14) “ministering spirits, sent out to render service for the sake of those who will inherit salvation.” Even Jesus Christ was strengthened by angels after going without food for forty days and being tempted by Satan in the wilderness. The Lord still uses His heavenly ministers to encourage us in our walk with Him and to protect us in our fight against satanic powers. We don’t see them, but the Bible tells us they are there–so by faith, not by sight, we depend upon the Lord and His Word. So what should we do? In history, we know that Greece conquered Medo-Persia. Could it be that much of the international conflict we see really hinges upon the supernatural angelic warfare we don’t see? Could it be that victory is not based on human ingenuity or modern technology at all, but solely based on God’s will through angelic warfare? This holy angel assured Daniel that he would not leave until he had explained the vision to Daniel in verse 21a, “However, I will tell you what is inscribed in the writing of truth.” I will accomplish my divine mission to reveal God’s Word to you. Men and women of FBC, this is what is missing in churches today and with Christians today. We are failing to speak God’s Word to each other. We are failing to be passionate about truth–not edgy, ungracious or harsh with truth, but to say the truth in love and with grace. But say the truth, and say it to those who are not living it, say it to those who don’t know it, say it to those who are undermining it. Don’t tell others to speak the truth to someone, you tell them God’s Word. Do not name a theological viewpoint or a church position–stop using words like Calvinism, reformed, pre-millennial, and start graciously, lovingly showing people what the Bible actually says. Show me the verses. After the angel speaks the truth, then he goes back to battle and says, verse 21b, “Yet there is no one who stands firmly with me against these forces except Michael your prince.” I am thankful for this. You see I have strong friends who stand with me when the battle is intense, and so does this angel. Michael the archangel literally stands by the side of this angel to contend with him in battle. The conflict between God and Satan is still being fought today. Christ’s death on the cross has ensured Satan’s defeat, but it has not yet ended the war. It’s a war God has allowed to continue to accomplish His purposes. As we see this conflict with evil, we learn more about God’s justice, wrath and patience. As we’re worn in battle, we understand God’s love, grace and mercy all the more. And the best news of all, we who are Christians have God’s promise that the ultimate victory over satanic powers is ours because 1 John 4:4 says, “Greater is He who is in us than he who is in the world.” What are some crucial steps to take in light of this text? The book of Hebrews talks more about angels than any other New Testament letter, but it says Hebrews 12:1 and 2, “And let us run with endurance the race that is set before us, 2 fixing our eyes on Jesus, the author and perfecter of faith, who for the joy set before Him endured the cross, despising the shame, and has sat down at the right hand of the throne of God.” Keep your focus on Christ and the cross. Then Elisha prayed that God would enable this servant to see the invisible in verse 17 and look what happened. “Then Elisha prayed and said, ‘O Lord, I pray, open his eyes that he may see.’ And the Lord opened the servant’s eyes, and he saw; and behold, the mountain was full of horses and chariots of fire all around Elisha.” The servant sees this foreign army surrounding them, but now around this mighty earthly army, the servant sees an awesome heavenly army that surrounds the physical army. Christian, no matter what is surrounding you, no matter what is about to swallow you up, God is still there, greater in power, greater in resources and greater in number. Keep your focus on Christ. Soldier, stay awake at your post, rely upon the strength of God, and live by, follow, take your stand upon, and counter every temptation with the Word of God. If you are not alert, you’re going to get hit. If you are not dependent in the Spirit, you will be useless in the flesh. If you are not obedient, you give the devil an opportunity. If you are not intertwined with others in God’s herd, you will be picked off by the lion waiting for the stray. Stay alert, continually depend, walk in obedience, stay together.